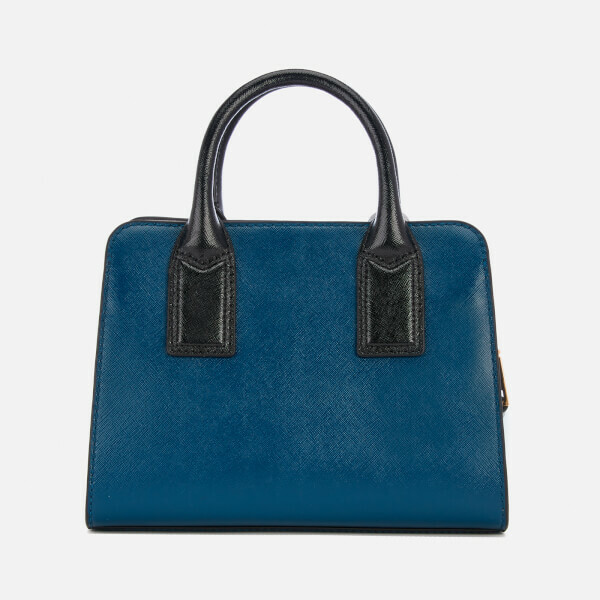 Structured tote bag with glossy Saffiano leather construction. Suspended from twin, rolled grab handles. 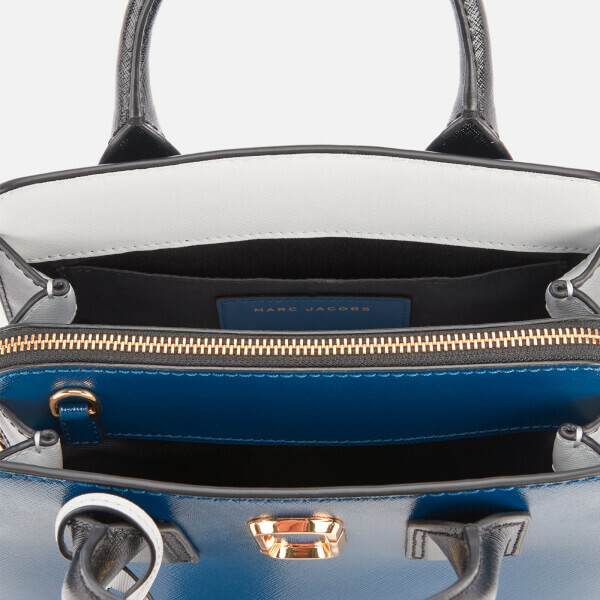 Lined triple compartment interior with a central zipped pocket. Signature detachable guitar strap for cross body wear. 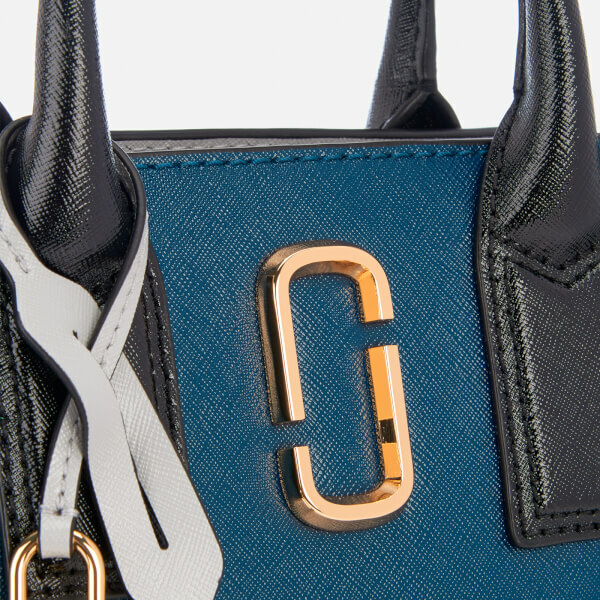 Polished gold tone hardware and branding, Trademark padlock and key pouch charm. Dimensions: H: 20cm x W: 26cm x D: 11cm. Handle Drop: 8cm. Strap Drop: 55cm.